#Hashtagsareawesome. What? What does that mean? Why do you have the number sign before the misspelled words? Since then, Hashtags (or the new word hashtagging) have become an insanely popular and effective way to communicate and find content via social media. We can certainly say that hashtags have considerably evolved during these past years. The pound symbol was first created in 1870 and has become so much more important today than it ever was before. Hashtags now are used for tagging and searching on the top social media sites. More than that, top businesses around the world are successfully branding their company with the hashtag system on a daily basis. So how do you use these hashtags to grow your business? We’re going to answer that question in this post. Here are the top 5 ways to use hashtags. Social media users love to post their location with a hashtag and search for people with the same location. For companies that are locally based, using a local hashtag is the best way to gain exposure through the hashtag system. Local tagging will increase views from specified local areas. Those who are in need of a local service will frequently look up the a hashtag to see what new posts that will come up. Posting new and interesting items with local hashtags will keep your content relevant and searchable. The best way to market a brand is by a hashtag! Businesses can increase their brand popularity and grow their brand identity by constantly adding new posts with their brand name hash-tagged. When branding a business brand name, always keep it short and sweet. For brand popularity to increase through a social media platform, a business must have an easy to read company brand that has a bit of a knack to it which will stick to people’s minds. Trending items are known to generate the most views and searches. When a new breaking story erupts, it’s a great idea to add that trending stories hashtag on your post. For bloggers, it is common to write blog posts about the next trending item so it will be easily seen. Holidays, seasons, and activities are some of the most searched hashtags. Holidays get the most views during specific holiday dates. Seasons like summer, winter, spring, and fall will also get tons of views during these periods. Activities are also searched on when current. If your business is going to a convention, hashtagging that convention will certainly get views and followers from those individuals who went to the same event. Getting involved in events and pre-hash tagging that you will be attending will also gain followers and views. Every business on the web has a keyword targeting goal. 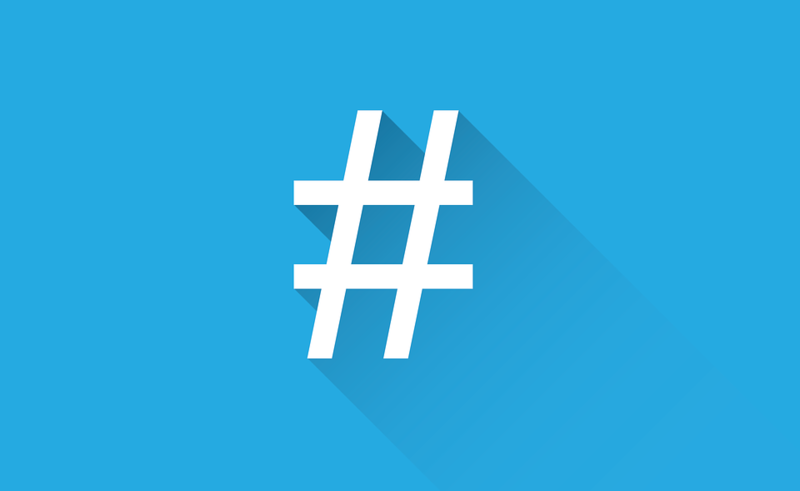 Use up to 3 main keywords to always hashtag on your social media profiles. Targeting your keywords through the hashtag system is a proven way to become visible to relevant social media users. What didn’t you know about hashtags? In 2009, Twitter added officially added the hashtag system. In 2012, Google followed up and added the hashtag system. In 2013, Facebook has also implemented the hashtag system. On Social Media Today, there has been a study that shows out of 74,000,000 tweets, 10.1% of tweets have a hashtag. What does this mean? The hashtag system is one of the most actively used social media tagging systems on the web. With so many tags on a daily basis, a company must increase posts and hashtags to keep content fresh and increase views. Quick Hashtag Tip #1: Although there is no char limit for hashtags, overusing hashtags will not gain as much exposure as predicted. It is important for all hashtag users to note that too many hashtags may look spammy on a post. Adding new content with up to 3 hashtags is the best way to keep content professional and visible. Quick Hashtag Tip #2: Targeting demographics with hashtags is. Create a study of how many users (age range and gender) will post frequently with a certain hashtag. If your goal is to become a Fortune 500 company, using hashtag #Inspo may guarantee likes from teenagers. Unless teenage branding is your market, you may want to try something a bit more advanced and keyword related. About the Author: Ntw Designs is an advanced web design company that creates web applications for companies of all sizes. Ntw Designs has over 20 yrs of experience in brand identity, web design, and brand research.